I don’t know that many people who have a kitchen banquette, but the one friend who does have it, loves it! And can I say how adorable it is?! They are utterly charming! Kitchen banquettes, along with things like dutch doors and butler’s pantries, are thought of as somewhat old-fashioned. But I’m all for bringing them back. They are practical; a great use of space, look and feel cozy, and work wonderfully with kids and families. Plus, did I mention the charm factor?! The funny part is, I have the same model home as the friend that has one, and when we were remodeling our house when we first purchased it, we briefly considered adding one. However, it would have involved turning some windows into doors and vice versa (read: more money) so the idea was abandoned. 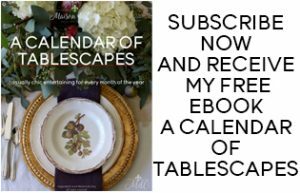 So now when I see them in magazines or on Pinterest, I have a moment of wishing we would’ve done it! Maybe in the next house……. 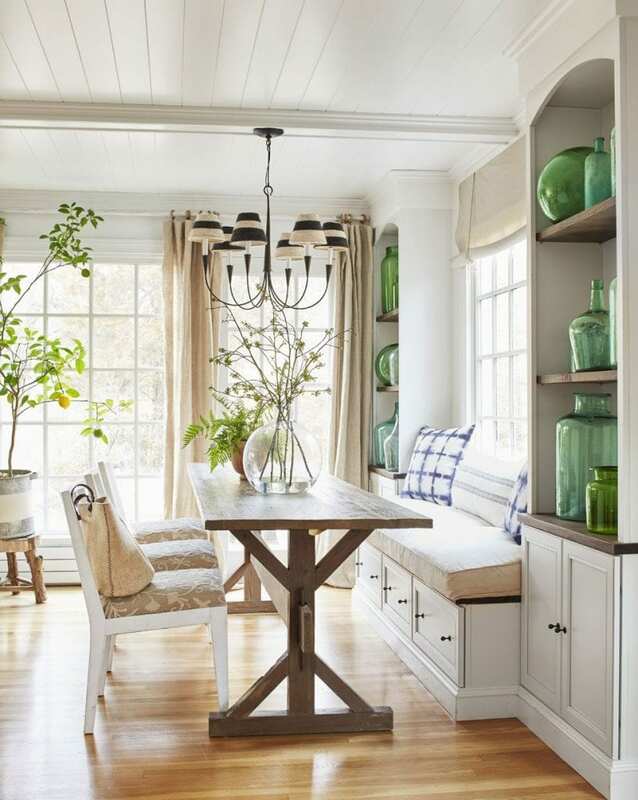 I am in love with all the blue and green in this eat-in kitchen! Design by Ingrid Leess via Country Living. Love the brick floor and the fabulous lanterns! Via Better Homes and Gardens. 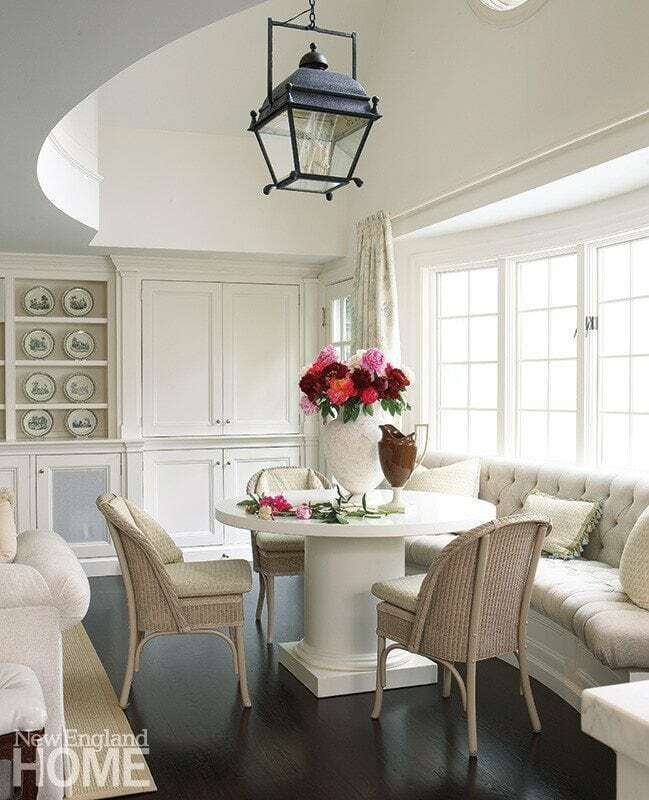 Design by Nannette Lewis via New England Home. So beautiful! 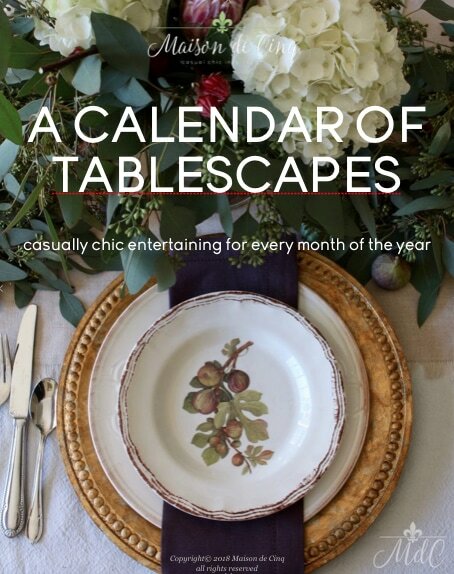 Beth Ervin via Atlanta Homes. 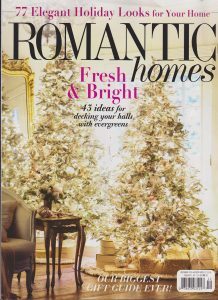 Design by Wendy Kirkland via Traditional Home. 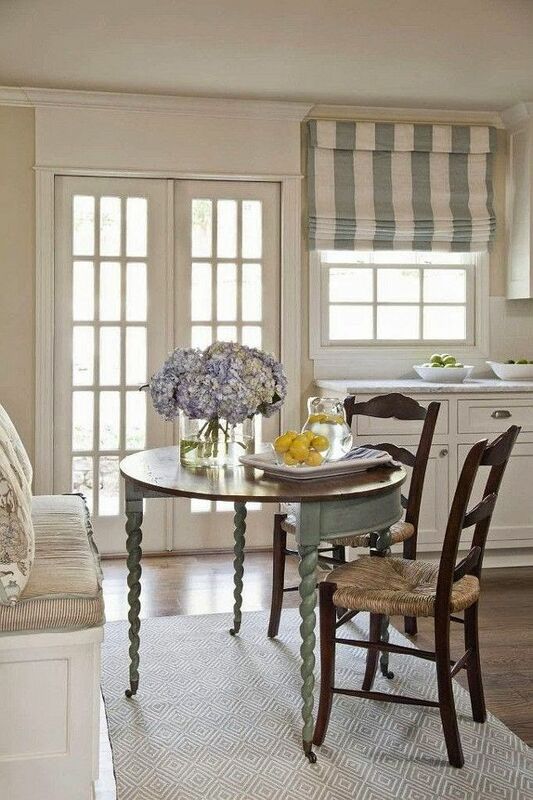 Not only do I love this built-in kitchen banquette, but I love that adorable roman shade, too! Via K. Lewis Interior Design. One of my favorites! I have the original tear out and I still refer to it to this day. 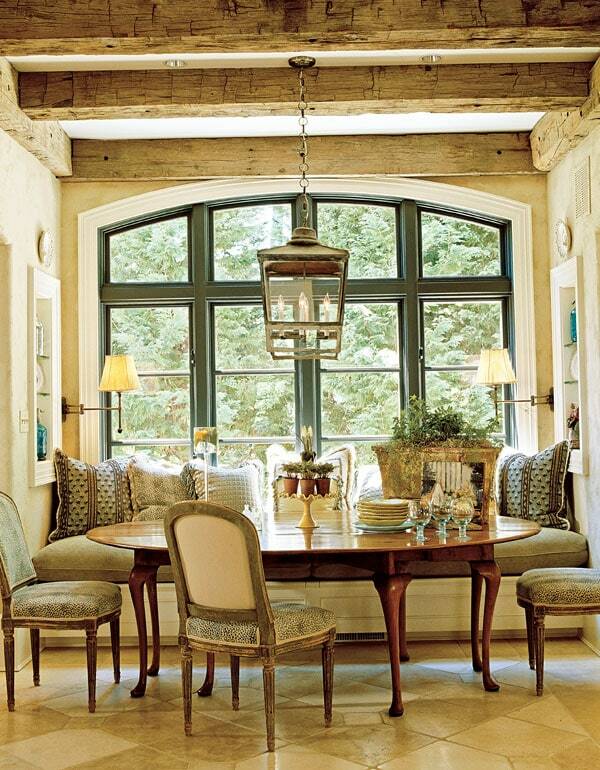 This is probably the first time I saw an oversized antique lantern used over a table – divine! 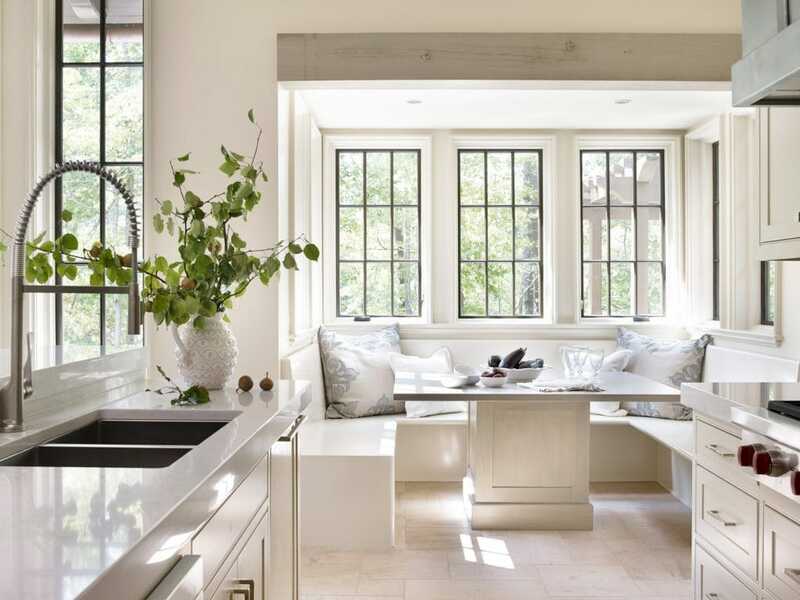 Design by Mary Jo Donohoe via Traditional Home. Just darling! Via Better Homes and Gardens. However, for those of us (like me) who would love to have one, but either can’t or won’t do a built-in, the solution is to use a settee on one side of the table. This is a trend that I have seen increasing recently. It’s the perfect compromise because it gives you the same look as the built-in banquette, without all the pesky building! This is one I may just do!! Friday Favorites – Shoe Love! Great collection, Sheila! I don't think I could pick just one. I have several favorites. 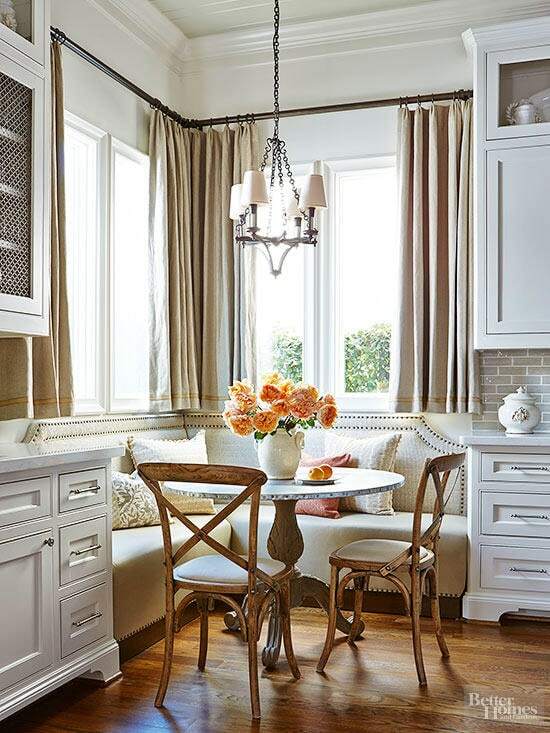 — There's nothing quite like a cozy banquette in the kitchen. Love these banquets and the details attached. There are several that I'd take in a heartbeat! Great post, Sheila.